Exceptionally quick, talented gray son of leading California sire BENCHMARK, retired with earnings of $245,400. Average earnings per runner $80,791 plus. ENOLA GRAY, 7 wins, 3 to 4, $585,100, Wilshire S. G3, California-bred Three-year-old Champion Filly, Sunshine Millions Filly & Mare Turf Sprint, Melair S., Irish O’Brien S., Fleet Treat S., California Distaff, 2nd Betty Grable S., Beverly Lewis S., 3rd La Brea S. G1. GRAZEN SKY (2012 c, by Sky Mesa) In US, 4 wins at 3 and 4, placed at 6, $463,437, 1st Silky Sullivan S.-R, 2nd Tiznow S., Cary Grant S., Echo Eddie S.-R, 3rd Los Angeles S. G3, Snow Chief S.-R, Real Good Deal S., Harry F. Brubaker S.
S Y SKY 5 wins, 3 to 4, 2019, $497,320, Sunshine Millions Filly and Mare Turf Sprint S., Melair S., Evening Jewel S., 2nd California Distaff H., Irish O’Brien S., Spring Fever S., 3rd Betty Grable S.
TOUGH IT OUT (2013 g, by Marquetry) In US, 6 wins, 2 to 5, placed at 6, 2019, $436,510, Echo Eddie S., 2nd California Cup Derby-R, Real Good Deal S., Silky Sullivan S., 3rd Snow Chief S., King Glorious S.
TOUGH SUNDAY (2012 c, by General Meeting) In US, 5 wins, 2 to 6, placed at 7, 2019, $360,728, Sensational Star S., 2nd Midnight Lute S. G3, Thor’s Echo S., 3rd Midnight Lute S. G3, Donald Valpredo California Cup Sprint S.
BARBARA BEATRICE (2012 f, by Decarchy) In US, 5 wins at 3 to 5, placed at 6, 2018, $356,905, California Distaff H., 2nd Betty Grable S., Sunshine Millions Filly and Mare Turf Sprint S., 3rd Melair S.
JUST GRAZED ME, 3 wins at 3, 2018, $208,260, Fleet Treat S., 2nd Torrey Pines S. (Gr. 3), Betty Grable S.
LIEUTENANT DAN, 3 wins at 3, 2019, $184,520, Echo Eddie S.
CAL MCLISH (2012 g, by Maria’s Mon) 5 wins, 3 to 5, $45,579, Inner Spirit S.
Rocko’s Wheel (2012 c, by Double Honor) In US, 4 wins at 3, placed at 6, 2018, $227,429, 2nd Real Good Deal S.
Grazenette (2011 f, by Malek (CHI)) In US, 3 wins at 3 and 4, placed at 5, $202,585, 3rd Fleet Treat S.-R, 3rd Dream of Summer S.
Tatum’s Gold (2012 f, by Touch Gold) In US, 4 wins, 2 to 4, $176,023. Kris’ Dear Deby Kris S.
By BENCHMARK (1991), Black type winner, $636,707. Sire of 10 crops. 607 foals, 446 starters, 21 black type winners, 330 winners, $24,367,778, including Brother Derek ($1,611,138, Santa Anita Derby [G1], etc. ), Idiot Proof ($1,294,484, Ancient Title Breeders’ Cup S. [G1], etc. ), Silent Sighs ($442,700, Santa Anita Oaks [G1], etc. ), A To The Z ($729,721, Mervin H. Muniz Jr. Memorial Hcp. [G2], etc. ), Proposed ($567,600, Milady Breeders’ Cup Handicap [G2], etc. ), Bench Points ($290,280, Lazaro Barrera Memorial S. [G3], etc. ), Grazen ($245,400, Affirmed H. [G3], etc.). GRAZEN (c, by Benchmark). Black type winner, see records. Ruby Haze (f, by Skimming). Winner at 2 and 3, $33,120, in US. Hazen (f, by Rubiano). Black type placed winner, see above. Ruby Red Slippers (f, by Rubiano). Winner at 2 and 4, $44,658, in NA/US. Placed at 5 and 6, $10,247, in PR. (Total: $54,905) Producer. Smart Set (g, by Carson City). 5 wins, 3 to 6, $34,519, in NA/US. Millie Thane (f, by Dispersal). 7 wins at 3 and 4, $74,371, in NA/US. 3rd Jersey Lilly S. [L] (HOU, $5,500). Producer. Golden Oak. 10 wins, 3 to 9, $122,607, in NA/US. No More Jeff. 4 wins, 3 to 6, $102,515, in NA/US. Sedition. 4 wins, 3 to 5, $89,055, in NA/US. Tri Mary Kate. 8 wins at 3 and 4, $66,110, in NA/US. Producer. Our Frisky Kris. 3 wins at 3 and 4, $61,381, in NA/US. Unification. Unplaced at 2, in NA/US. 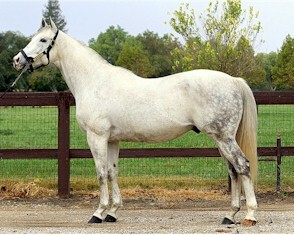 Dam of Pettroff (g, by Tsunami Slew. 3 wins at 4 and 6, $69,820, in NA/US. 3rd Hill Rise Handicap [L] (SA, $8,568).). PILLARING (c, by Debonair Roger). 9 wins, 2 to 7, $377,332, in NA/US. Won Orange County Derby [L] (LA, $28,340), 2nd Norfolk S. [G1], Del Mar Futurity [G2], 3rd California Cup Juvenile S. [LR] (SA, $15,000), Sausalito S. [L] (GG, $15,000), etc. MAGNETIZED (c, by Unpredictable). 11 wins, 2 to 9, $167,330, in NA/US. Won Redwood Empire S. [O] (SR, $13,300), 2nd Gateway To Glory S. [L] (FPX, $8,500), Riptide S. [OR] (DMR, $6,000), Mid-Peninsula S. (C & G Div) [O] (BMF, $4,750), 3rd Los Feliz S. [LR] (SA, $11,250), etc. GENTLE DEAR (f, by Tim Tam Aly). 20 wins, 3 to 10, $192,328, in NA/US. Won Red Holman S. [O] (SUF, $21,000), 2nd Floyd Duncan S. [OR] (SUF, $5,000). Producer. See The Glory. 16 wins, 2 to 11, $92,468, in NA/US. Trust The Universe. 9 wins, 3 to 5, $83,494, in NA/US. Producer. Kayleigh’s Love. 5 wins at 3 and 4, $52,400, in NA/US. Stutz Flyer. 6 wins, 3 to 5, $52,342, in NA/US. Trufulla Rose. Placed at 2 and 3, $8,625, in NA/US. Dam of Rose Of Gallapiat (f, by Gallapiat. 6 wins at 4, $83,730, in NA/US. 2nd Calder Breeders’ Cup Handicap [L] (CRC, $30,000).). Man Of Cloth (c, by Hold Your Peace). Winner at 3 and 4, $23,218, in NA/US. Sire. Our Trick (c, by Flush). 3 wins at 3, $22,740, in NA/US. Our Deby’s Sport (c, by Amasport). Winner at 3, $7,538, in NA/US. Heckenkamp (g, by Kris S.). Winner at 3, $6,055, in NA/US. Your Dear (c, by Hold Your Peace). Winner at 3, $5,041, in NA/US. Bully’s Del Mar (f, by Notebook). 4 wins at 3, $109,720, in NA/US. 3rd Cactus Cup Handicap [O] (TUP, $3,000). Producer. Nook And Granny (f, by Impeachment). 3 wins at 2 and 4, $57,870, in US. 2nd Arizona Juvenile Fillies S. [O] (TUP, $9,000). At 2 Ntr Hol 4.50f 0 51 3 (A). Luis’s Especial. 5 wins at 3 and 4, $183,009, in US. Luisathebeachhouse. 5 wins at 3 and 4, $116,687, in NA/US. BEHAVING DEBY, by Ambehaving. 5 wins at 2, $70,109, in NA/US. Won Fashion S, Polly Drummond S, Rancocas S, Gulfstream Park Dinner S, 3rd Sorority S. Half-sister to RECORD DASH. Dam of DEBY’S WILLING, Turbulent Miss. Granddam of HE’S SPIRITED, UNTAMED SPIRIT, Rough Flight. Race Record: (In US) at 2, unplaced; at 3, four wins (Affirmed H. [G3], El Cajon S. [L] (DMR$60,000), N.T.R.A. S. [N] (HOL$36,000)), once 2nd (Swaps Breeders’ Cup S. [G2]). Total: 4 wins, once 2nd. Earned $245,400. April 2018 California Thoroughbred You Don’t Have To Go To Kentucky and Spend Big $$$$$…Grazen is right here in Santa Ynez! March 11, 2018 Alexander’s Homebred Tough Sunday Gets First Stakes Win as He Takes $100,000 Sensational Star S.
January 2018 California Thoroughbred GRAZEN CALIFORNIA’S #1 LIVING STALLION WITH A 1.77 AEI AND RUNAWAY LEADER BY EARNINGS PER RUNNER, MEDIAN EARNINGS PER RUNNER AND EARNINGS PER START. April 7, 2017 First Time Starter S Y Sky Rockets to Five Length Win in $200,000 Evening Jewel S.
GRAZEN covered 30 mares in 2011 for foals of 2012. GRAZEN will stand his first season at stud in 2010 at Tommy Town Thoroughbreds.